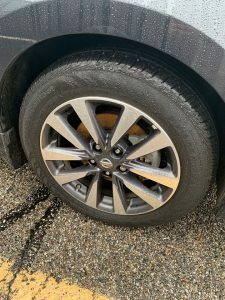 VIGO COUNTY, Ind – The Vigo County Sheriff’s Office is asking for your help to identify the suspects in a recent theft of 4 tires & rims in Southern Vigo County. 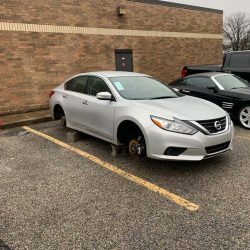 The four tires and rims shown were removed from this 2017 Nissan Altima. If you have any information call crime stoppers (812-238-STOP) or Det. John Newman @ 812-462-3226.